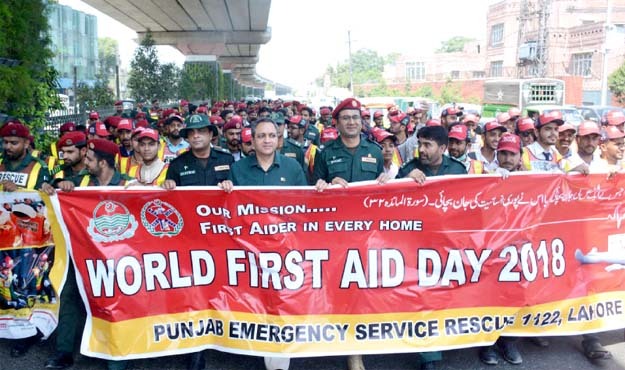 LAHORE: The Punjab Emergency Service (Rescue 1122) launched a programme called ‘First Aider at Every Home’ on the eve of World First Aid Day which was marked on September 8. The objective was to highlight the importance of the administration of first aid for all citizens. Rescue 1122 Director General Dr Rizwan Naseer launched the programme at an event held at Rescue 1122 head office on Ferozepur Road on Saturday. Under the programme, people will be taught how to prevent further injuries and save lives through first aid training in all districts of Punjab. An awareness walk was also organised by the Rescue 1122. Dr Naseer led the walk and appreciated all district emergency services which helped establish and train community emergency response teams (CERTs) at the union council level. 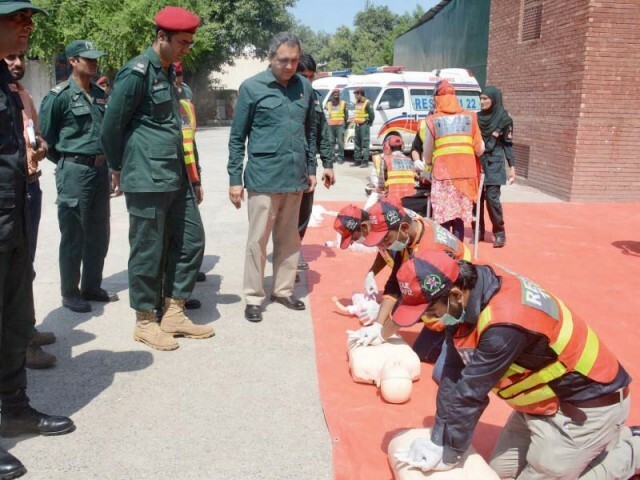 The officers of Emergency Service Headquarters, District Emergency Officer, Lahore, officials and a large number of rescue scouts (volunteers) participated in the event. Dr Naseer welcomed all the volunteers and briefed them about the importance of World First Aid Day and first aid training by giving examples of rescue operations. He said that first aid has been provided to 1,415,092 victims of emergencies since the inception of the service. 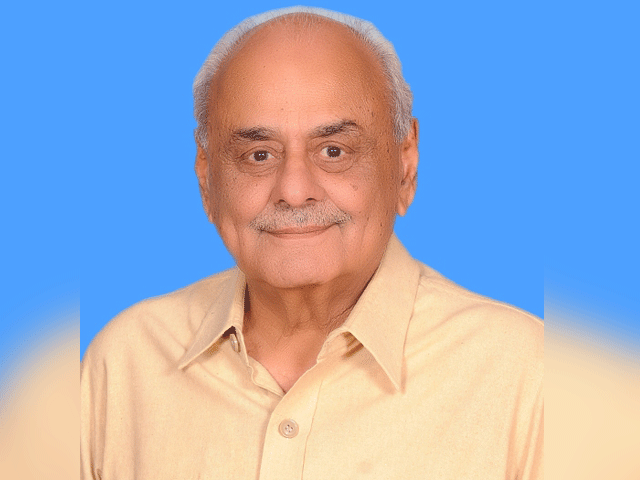 The Punjab Emergency Service registered over 150, 000 personnel and trained 60,000 rescue scouts to further launch the First Aider Programme in every home across the province, he added.